A van driver who killed a mother-of-three and injured 17 other people in a series of hit-and-runs around Cardiff has been detained indefinitely under the Mental Health Act. 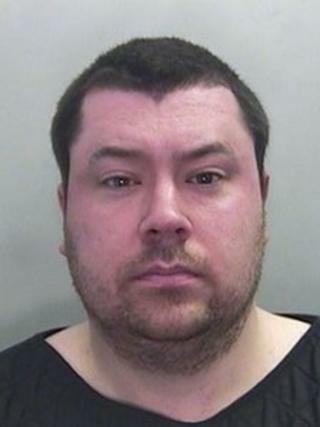 Matthew Tvrdon, 32, drove on an eight-mile "journey of mayhem" in 30 minutes last October, killing Karina Menzies. The judge called it horrific and said Tvrdon used his van as a weapon. Tvrdon, who has paranoid schizophrenia, admitted manslaughter on the grounds of diminished responsibility. He also admitted seven counts of attempted murder and other charges including three counts of grievous bodily harm with intent. Sentencing on Thursday, Mr Justice Wyn Williams said of 31-year-old Ms Menzies' death: "You ran over her quite deliberately while she and her two children were walking outside Ely fire station. "There is compelling evidence that you ran over her not once but twice. She died from multiple injuries caused by your deliberate actions." The judge went on to describe all the incidents of that October afternoon calling them "horrific and deliberate". He said he was prepared to accept that Tvrdon's mental illness "provides the explanation" for his actions. The judge also said Tvrdon was advised to reduce his medication in 2011 and he did not apportion blame to the defendant for that. He later said he was prepared to accept the doctor's advice that Tvrdon's culpability for his actions of that day was low because of his illness. "Without your serious mental illness I am satisfied that you would not have behaved as you did," the judge said. But he added: "I will make an order that you should be detained at Ashworth maximum security hospital without restriction of time. "You will be released from that institution only if a mental health tribunal considers it appropriate that you should be released. "Given the nature and severity of your illness and the harm which you caused when in the grip of that illness you should expect that you will be detained in hospital for a very long period of time." Tvrdon was told he would be released from Ashworth maximum security hospital in Merseyside only if a mental health tribunal was satisfied he should be released. He was also given a 25-year driving ban. After the hearing, Ms Menzies' sister Samantha said: "Nothing will be good enough. At least he's away for a long time. I hope he never gets out. It's not really justice in my eyes." The court heard on the first day of sentencing he knocked people over like "skittles" as he targeted adults and children at five separate locations in the west of Cardiff. Eye witnesses reported Tvrdon driving aggressively and erratically, heading towards oncoming traffic and swerving across lanes to mount kerbs in an effort to run over innocent people. In the most serious incident he targeted Ms Menzies as she walked on the forecourt of the fire station with two of her children. She pushed her children out of the way before the van hit her. Tvrdon then turned around and ran over Ms Menzies again before reversing over her. A witness described how Ms Menzies was semi-conscious and her two young children were calling out for their mother. The first victims were at Crossways Road in the Ely area of the city. A woman, 29, and her two children - a boy, nine, and girl, eight, were injured. In Cowbridge Road West, a man, 24, and woman, 22 walking their two-year-old daughter in a buggy near Ely Reptile Centre were targeted. Karina Menzies and her two children, eight and 23 months, were the next people Tvrdon drove at near Ely fire station in Cowbridge Road West. At Grand Avenue in Ely, Renee Selio and her two daughters aged 10 and 12 were hit on a zebra crossing. Tvrdon later attacked three people with a steering lock at the Asda petrol station at Leckwith retail park with the victims suffering minor injuries. He got back into his van and drove at Gill White, 49, then her daughter Rebecca, 27, dragging them under the vehicle. They suffered multiple injuries. Tvrdon was eventually stopped by police on the outskirts of Penarth, attempted to resist arrest and tried to assault a police officer with a crook lock, before being sprayed with CS gas. The defendant, who tested negative for drink and drugs, told police he was under stress at work and had split up from his girlfriend. Tvrdon had spent time under psychiatric care in 2003 and 2007 after he was diagnosed with paranoid schizophrenia but he had stopped taking his medication under medical advice in 2011. He had "behaved strangely and bizarrely in the days before the offences", the court was told. Meanwhile the Welsh government has said it is considering referring the case for an independent review.